We can try to insure our future through many things. 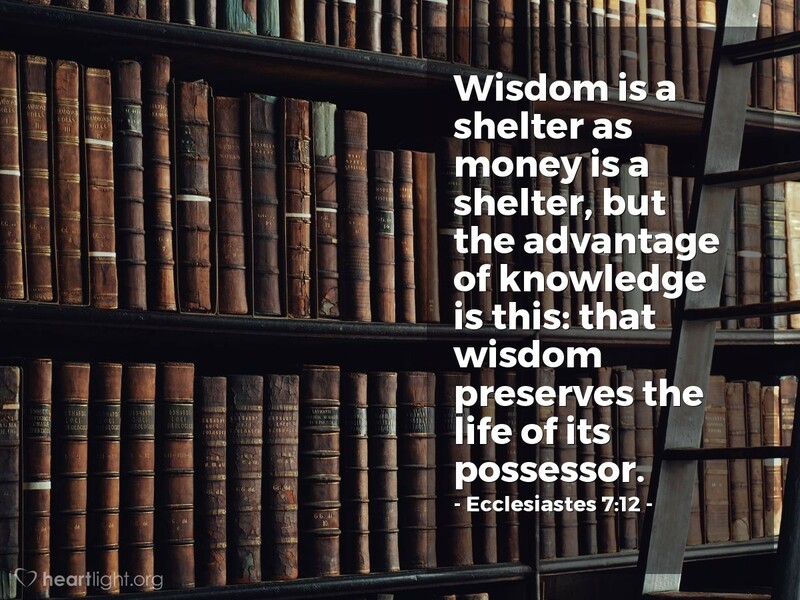 Wisdom, however, is always a better investment than finances because it not only shelters us from our uncertain future, but Godly wisdom can also keep us out of the unnecessary consequences for dumb and ungodly behaviors. Most of all, God's wisdom teaches us that there's no solid future without our lives centered on God. O Lord God, I want to be wise in your ways and innocent in the ways of evil. Forgive my foolish and sometimes rebellious behaviors. Lead me with your Spirit in the ways of truth, justice, and righteousness. In the name of the Lord Jesus I pray. Amen.